Duration: 3-years contract initially, possible renewal in line with the project timeframe subject to performance during the initial term, and availability of funds. Vanuatu is among the most vulnerable countries on earth to the increasing impacts of climate change, including climate-related natural disasters and the effects of slow-onset events such as sea-level rise and ocean acidification. 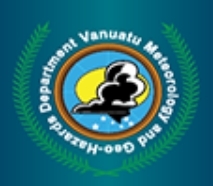 In an effort to address these challenges, the Government of Vanuatu, through VMGD and the Secretariat of the Pacific Regional Environment Programme (SPREP) have successfully secured financing from the Green Climate Fund (GCF) to develop and implement the Vanuatu Climate Information Services for Resilient Development (CISRD) Project. The primary purpose of the CISRD project is to develop and strengthen climate resilient development in Vanuatu, with emphasis on supporting climate smart adaptation and disaster risk management policy and planning. The project aims to do this by building institutional and community-based capacity and providing critical resources to facilitate transformational and sustainable change in the application of science-based evidence to inform decision-making for relevant policy development and planning processes. This support will be delivered through provision of tailored Climate Information Services (CIS) specifically aligned with relevant national strategies for priority sectors, to address information gaps and priority needs of target beneficiaries (‘next’ and ‘end’-users of CIS) at national, provincial and local community levels. The Project Manager will be responsible for the day-to-day project management of the CISRD Project and will ensure that the project produces the required outcomes, to the required standards, within the specified time and budget according to project document in close collaboration with VMGD, SPREP and the key project stakeholders. 8. Carry out capacity building in relevant areas essential for the successful implementation of the project. 9.Manage the implementation, monitoring and evaluation in accordance with the Project legal agreements, Operation Manual, monitoring and evaluation system and approved annual Project Procurement and Work plans.